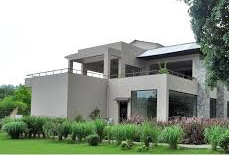 Located at a scenic location amidst plush greenery and beautiful gardens all around The Den, Corbett is an ideal accommodation to spend your holidays. 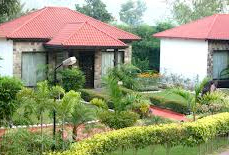 The resort is enclosed by thick mango grove gardens where the twittering of wild birds and shades of the trees create a dreamland like image. Presenting four types of luxurious accommodation this resort lets you experience a stay which you might have only dreamt about. 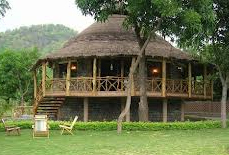 While suites like Junior are designed with special care to resemble tribal households, there are accommodations which are given the form of English cottages. 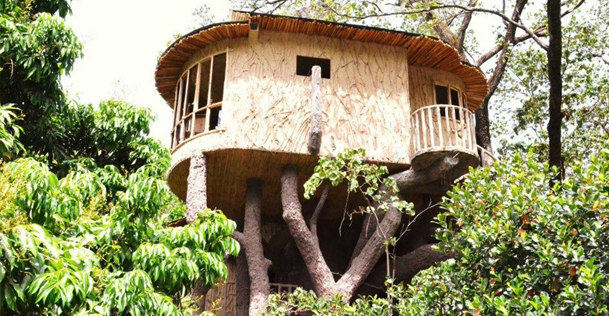 The most important variety offered by this hotel is the tree houses about which most of the couples dream about. Get a soul soothing massage at the spa retreat, enjoy yoga and meditation in the quiet space of the garden, have private dinner in secluded locations, and get involved in fun-filled excursion with your family. 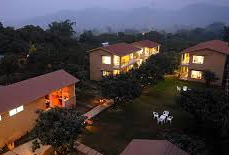 The resort premise houses an orchard rich in valuable fruit trees like cheeku, star fruit, karonda, jackfruit, rudraksh, pomengrade, lohkat etc. 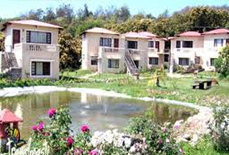 This eco-friendly resort has a well maintained organic garden. 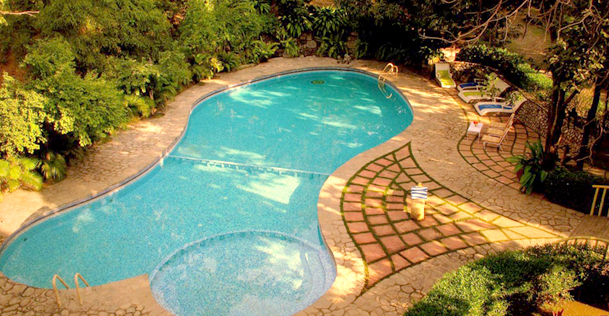 For pet lovers, the resort has special rooms to accommodate their dogs. 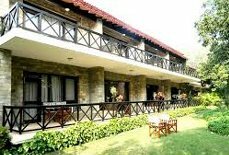 Accommodations: The rooms of this splendid resort are divided into different imposing categories offering basic amenities. 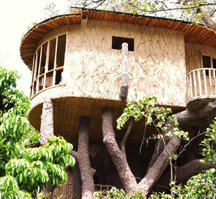 The different categories of rooms available are namely Junior, Deluxe, Duplex and Tree House. The junior suites are designed with unique interior style. 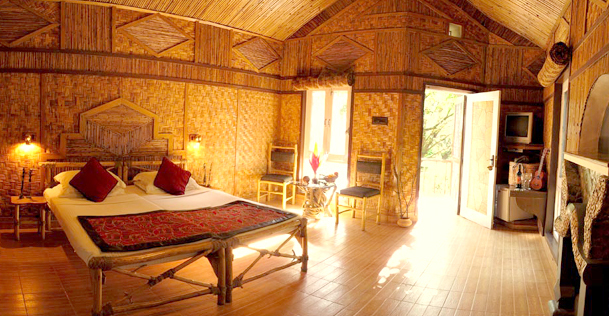 Both the ceiling and walls are made with bamboo and reed detailing. The rooms are spacious and the play of shade and light inside the room create a mysterious feel. 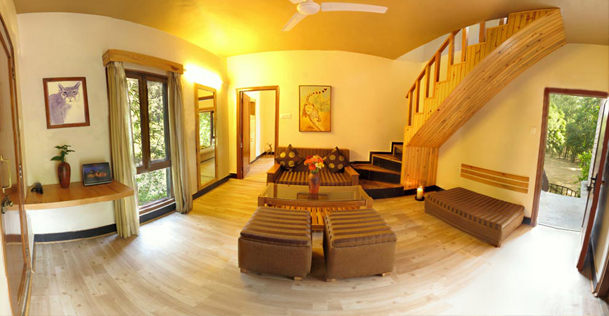 Each suite in this category also has an attached balcony. 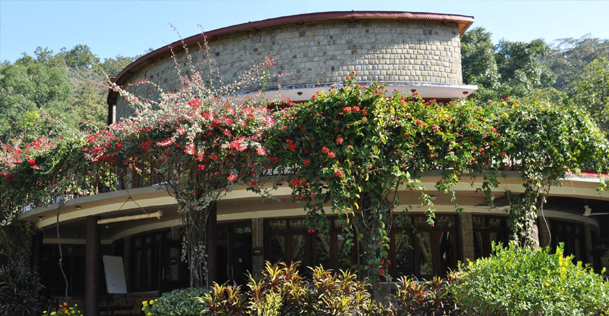 Designed in an impressive architectural style with stone walls and wooden panel the rooms in Deluxe category are spacious. 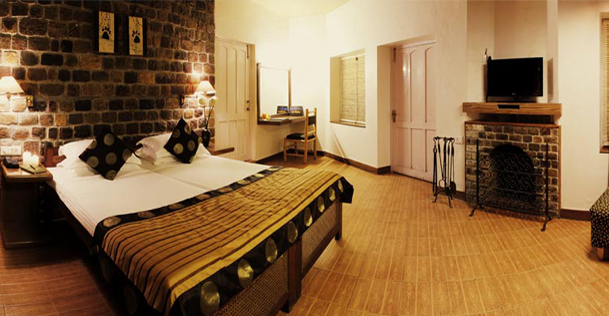 Elegantly decorated rooms are set with supreme furnishings crafted in local market. Private deck with each cottage allows one to get intimate with bare nature. 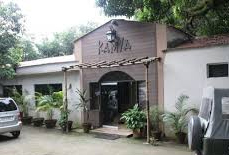 Not less than a castle in unvanquished wilderness, Duplex category of accommodation comprises two floors with each room having its own king size bed. The floors are connected by nicely designed wooden staircase. The relaxing sitting area on the ground floor has a wonderful sitting arrangement with sofa and armchair placed in the same room. 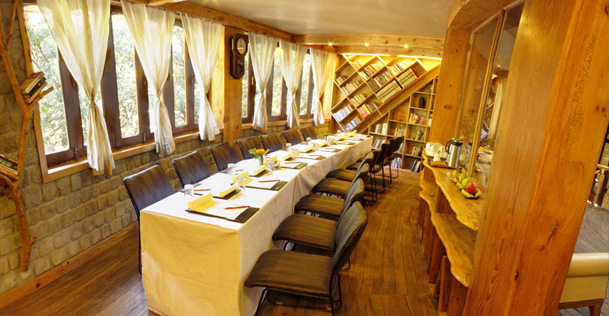 The hotel is located near Kumeria Reserve Forest in Mohan, Uttaranchal. 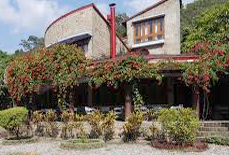 Dhangari, the main entrance to Corbett is at a distance of 11 km from the hotel and it can be reached from all corners of the country by any means of transport. 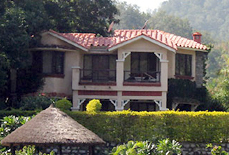 Corbett Falls, Corbett Museum, and Garija Temple are the nearest tourist attractions to The Den Corbett.